Pro Mach’s subsidiary Axon will showcase new SLX 600 shrink sleeve applicator at the ProFood Tech event, which is being held from 4-6 April 2017 in Chicago, US. The new 600 container per minute shrink sleeve applicator features simplified film path designed to facilitate film loading and high speed sleeving operations. Additionally, the SLX 600 provides fast and precise sleeve application with PLC monitored trouble free changeover on production lines. In order to allow the applicator to automatically speed up or slow down as needed, the SLX 600’s speed is fully automated and calibrated to line rate. Designed to meet PackML programming standards, the machine also features a dual servo timing screw which is designed to precisely control product position and sleeve application during the production cycle. The timing screw system comprises a unique quick release design for fast changeover. Additionally, the SLX 600 has an option for integration of Axon’s new patent pending thin film delivery system for film thicknesses down to 25 microns. The machine’s rotary encoders and precision lasers will electronically monitor key mechanical adjustments during changeovers. In February 2017, Axon said it plans to display new EZ-150SL shrink sleeve applicator and ThermoFlow shrink tunnel at the WestPack 2017 event. 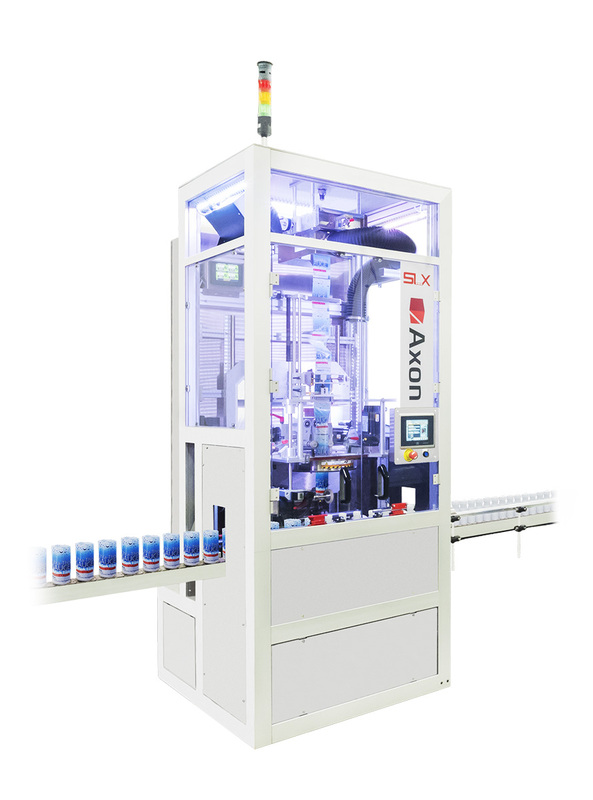 Image: Axons’ new SLX 600 shrink sleeve applicator. Photo: courtesy of Pro Mach, Inc.